Screw City Light is our best selling beer. This is Rockford’s beer. Light in flavor and color. A nose of fresh baked white bread. Crisp and clean on the palate. Flavors we hope are reminiscent of the classic lagers that used to be made right here in Rockford. Screw City Light is our homage to the classic American lager. Enjoy this beer next to a grill after a hard days work, just as America intended. 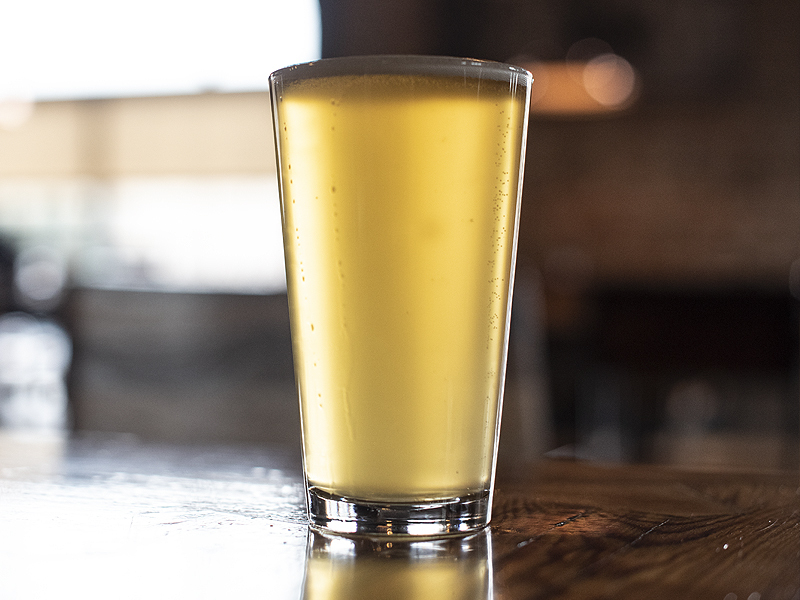 Highly approachable, this easy-going, refreshing Blonde Ale is sure to please the masses. 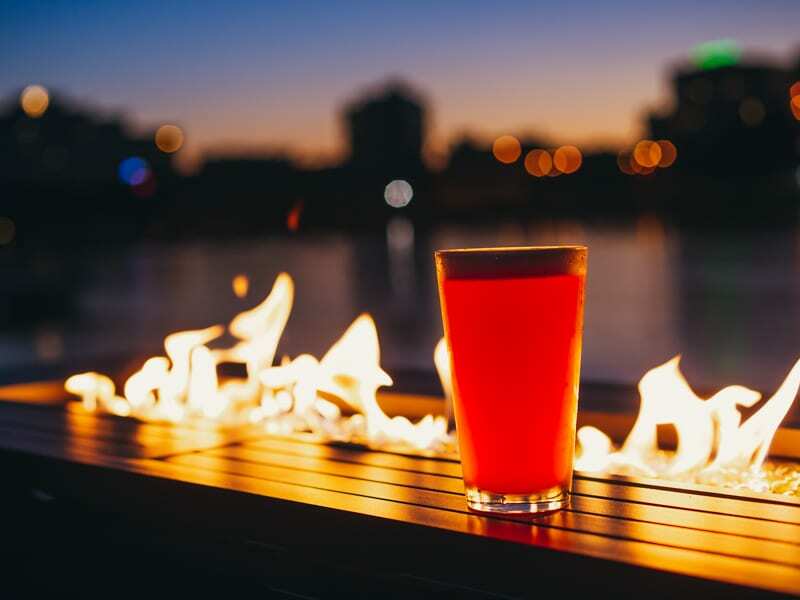 A perfect brew to sit and watch the waves roll by or to enjoy after an epic day of adventure. Let's get Wavey! Hazy and straw-colored, as the style dictates. A white head bubbles up and releases aromas of banana and clove that persist when experiencing the flavor. Mild floral notes and a light note of lemon citrus add to the symphony of flavors in this summer favorite. Prost! 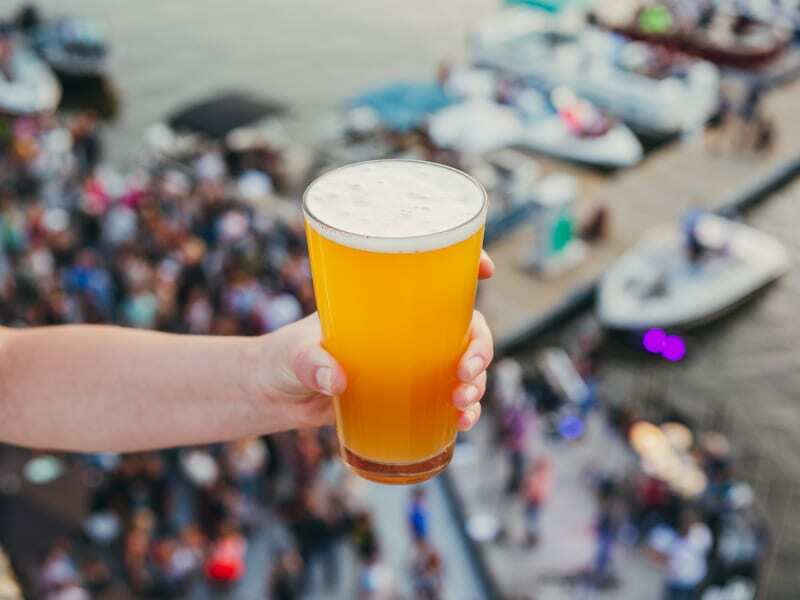 Pale gold and highly quaffable, our Peacock Pale Ale is a tribute to the legacy of Jonathan Peacock and the Peacock family who were the original founders of our beautiful river front location. Earthy honeydew aromas and flavors are apparent, along with bright grapefruit peel. These refreshing fruity flavors balance perfectly with malt flavors of toasted caramel. Hops and malt are equally displayed in this Midwestern Pale Ale that finishes slightly sweet and dry. Oh! Darling… Deep amber colors translate into spicy citrus, floral and toasty caramel aromas. This dry, yet fruity IPA has a flavorful medium body and is delightfully hoppy the whole way through. Flavors of citrus and grapefruit are the stars here. While those carry on, you’ll notice a slight resinous character that lingers and invites you to have another sip. Come together! 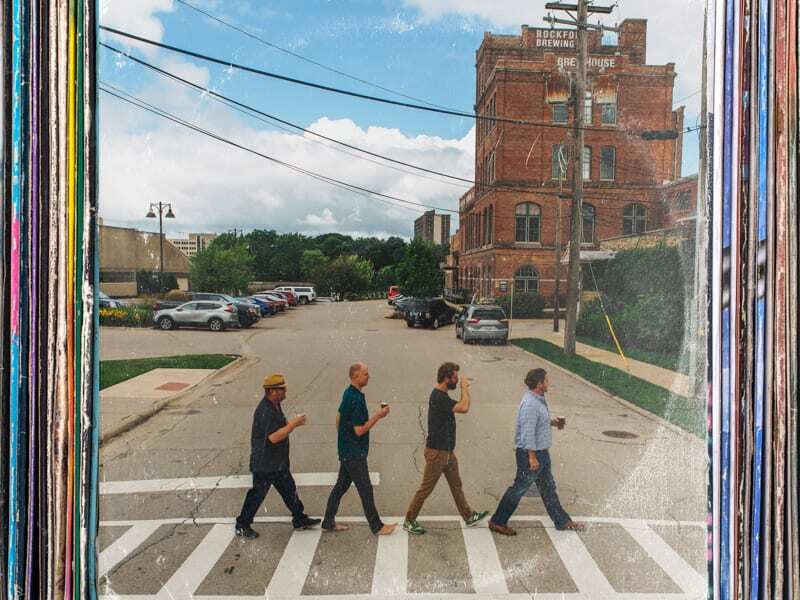 And enjoy this refreshing IPA down on Prairie Street! Our one year-round “dark” beer offering is as misleading as Alice Cooper’s stage presence compared to his real personality. 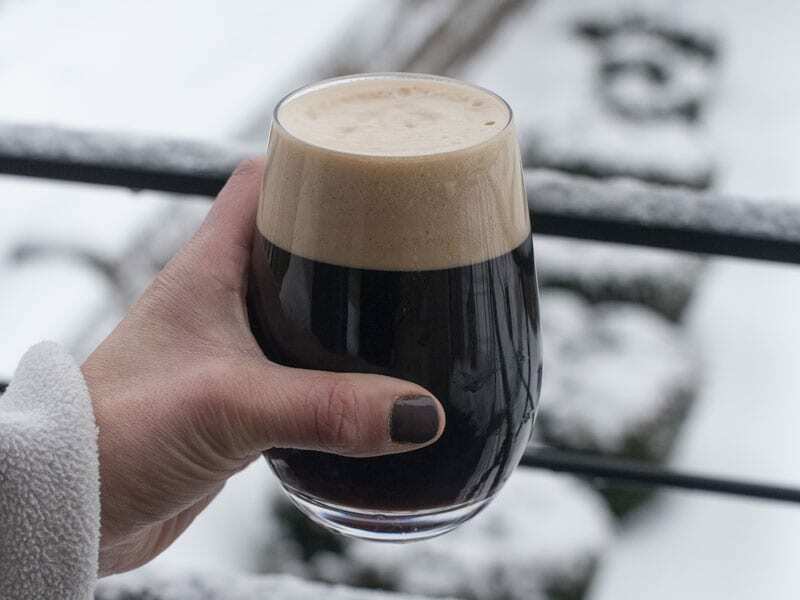 Deep, warm brown colors may convey a heavy and rich ale, but the reality is, this American Nut Brown style ale is light in body and surprisingly dry. 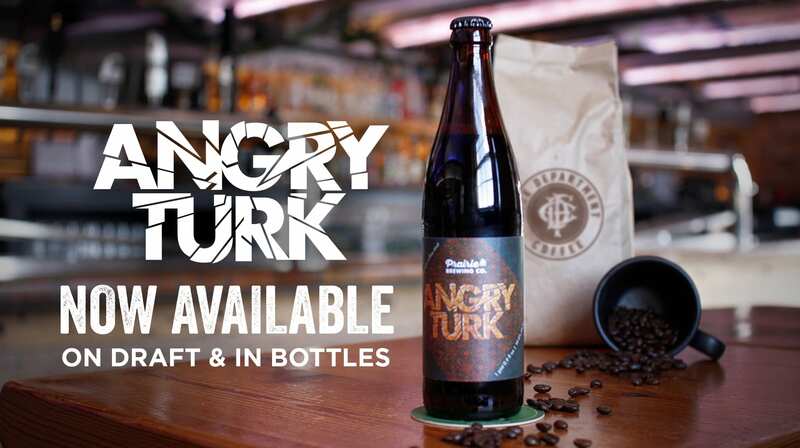 Roasty flavors of coffee and bakers chocolate resonate throughout this glass of refreshing ale. 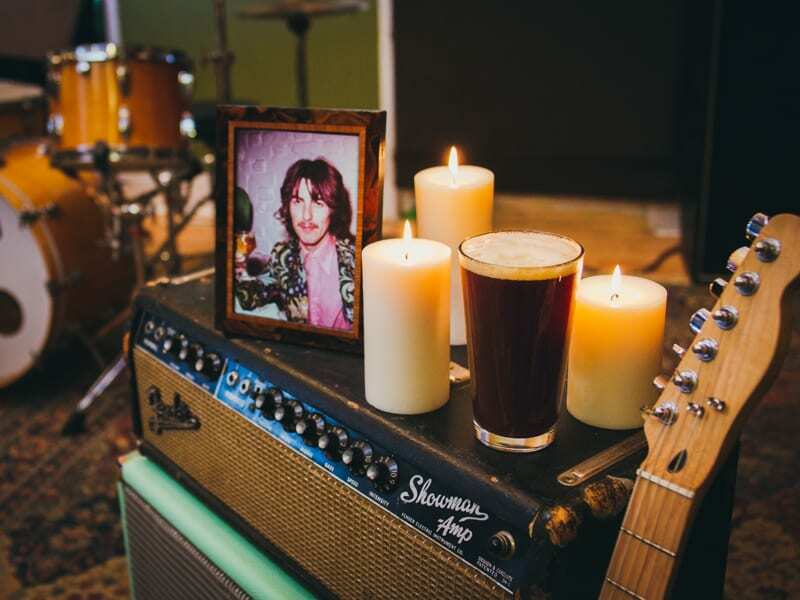 Cheers to the rock gods for making great music to drink beer to! 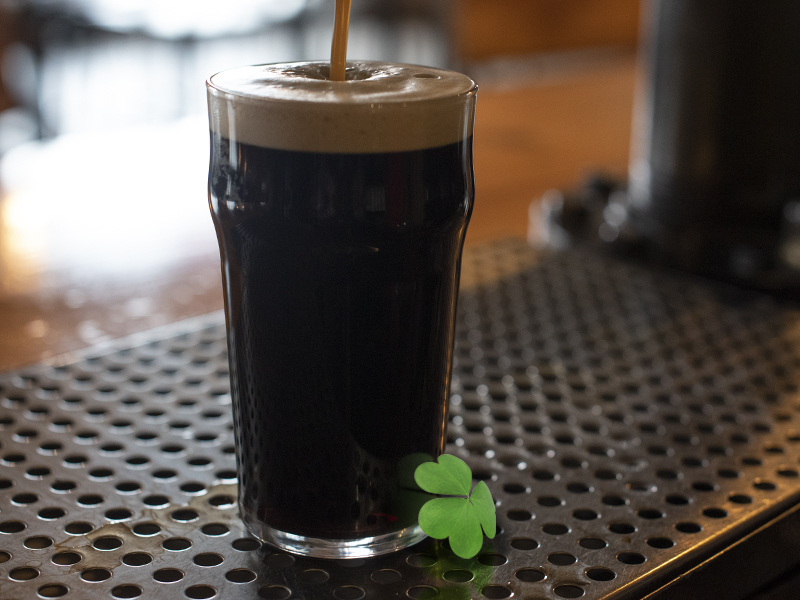 Hit on the luck of the Irish with this creamy stout. 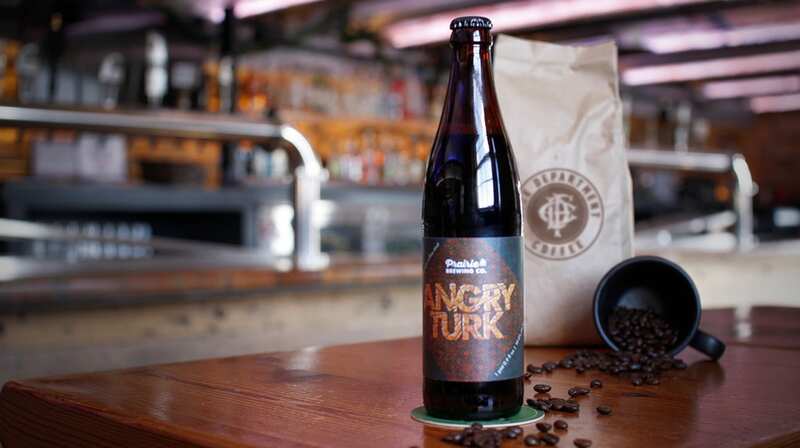 Roasted malt flavors, velvety texture, and a light body make this stout extremely quaffable. Sláinte! Copper and amber colors glow like a campfire in the fall. Medium bodied and refreshing. Sit back and enjoy the caramel notes blending with the subtle earthy hop character. This one's at home next to a campfire in the fall, but versatile enough to be enjoyed year round. Deep amber color. Aromas of toasty fruit cake, citrus scone, and honey butter. Supple, crisp, mouthfeel lends to a dry, yet fruity, medium body. Finishes with a long caramelized radish, pine and thyme. 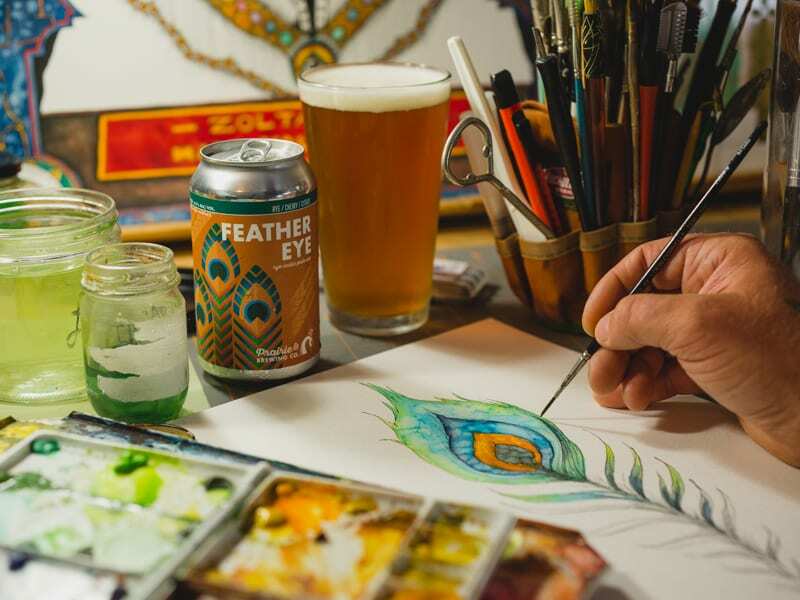 A tasty, refreshing IPA with great flavor and style - named after the dark blue and amber colored eye spot of the peacock feather. Bourbon barrel aged barleywine, aged for 90 days. Eases you in with smooth flavors of bourbon, vanilla, toasted coconut, and chocolate, then hits you like a 90 lb hammer. 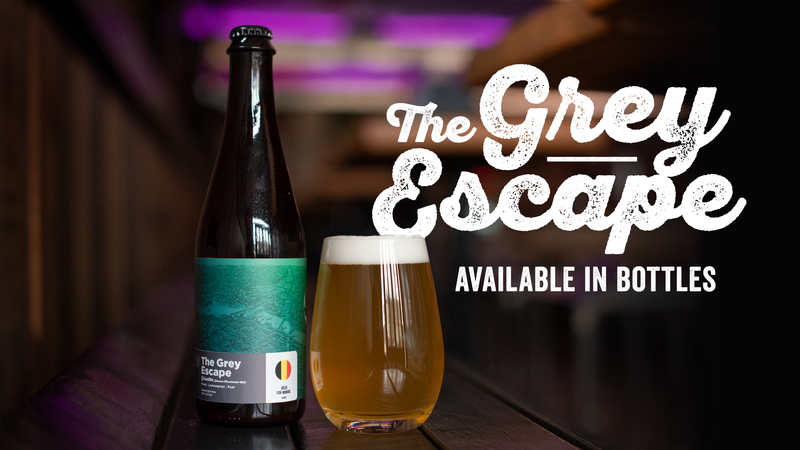 Grisette translates to "little grey" and is a "farmhouse" style ale historically brewed to refresh miners in the Belgian region of Hainaut. Bright, floral flavors of lemongrass give a respite from the dark grey of the mines. Classic Belgian ale flavors of pear and pepper are prevalent, yet are slightly subdued compared to its more popular cousin, Saison. Light in alcohol and body, this beer is the perfect escape from a hard day's work. Roasted barley and black patent malt shine through in this medium full-bodied ale. 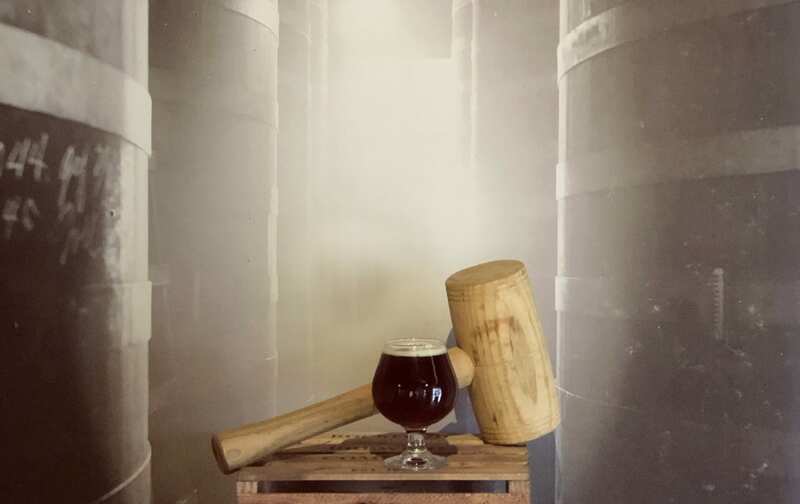 While a healthy addition of oatmeal lends it a texture of velvet which is enhanced by serving it on the traditional cask conditioned beer engine. Screw City Light is our best selling beer. This is Rockford’s beer. Light, in flavor and color. A nose of fresh baked white bread. Crisp and clean on the palate. Flavors we hope are reminiscent of the classic lagers that used to be made right here in Rockford. 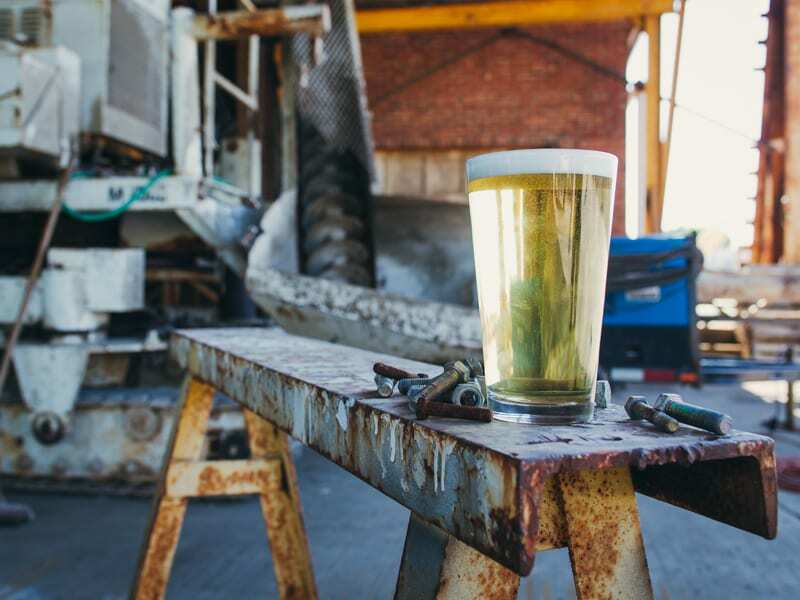 Screw City Light is our homage to the classic American lager. Enjoy this beer next to a grill after a hard days work, just as America intended. Oh! Darling… Deep amber colors translate into spicy citrus, floral and toasty caramel aromas. This dry, yet fruity IPA has a flavorful medium body and is delightfully hoppy the whole way through. 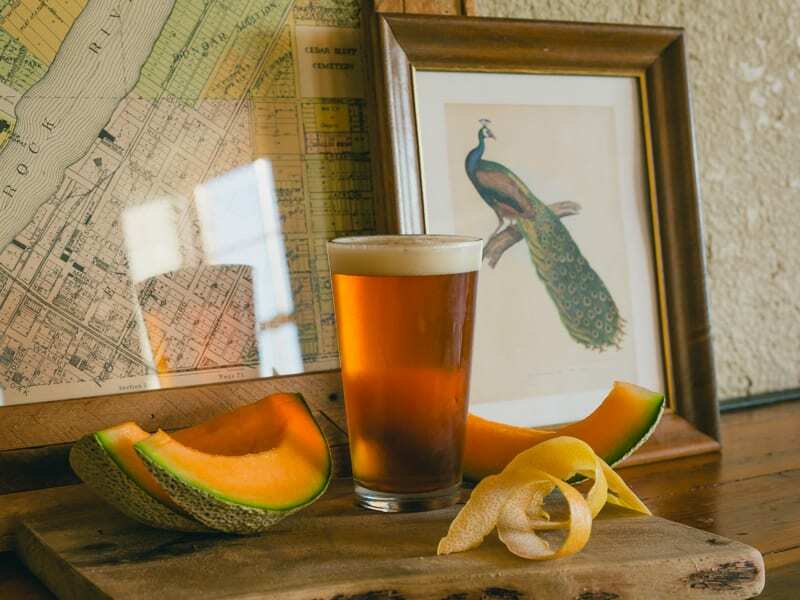 Flavors of citrus and grapefruit are the stars here, while those carry on, you’ll notice a slight resinous character that lingers and invites you to have another sip. Come together! And enjoy this refreshing IPA down on Prairie Street! Beautifully clear, golden brown, an almost peach color. 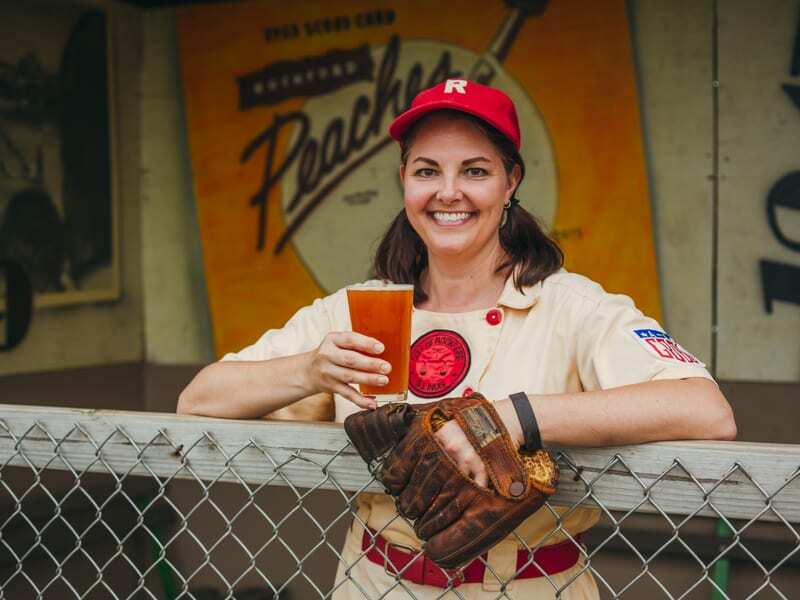 Like a home run rising out of the park, fresh peach fragrance jumps out of the glass letting you know this beer is jammed with peach puree. On the first sip, you’ll think you just bit into a peach in the heart of the harvest. After a couple more sips, the subtleties become apparent and you realize this beer loves to show off its peach character, but the pale, bonlander, and of course wheat malts, holds back the overpowering sweetness to keep this beer smooth and highly drinkable for any palate. Drink up! After all, this is "a beer of your own!"